The Department of General Services has received several recent awards for excellence in government contracting and procurement practices and support of small businesses in state contracting. The DGS Procurement Division recently received an honorable mention recognition from the National Association of State Procurement Officials (NASPO) for its small business and disabled veteran business enterprise streamlined procurement process. 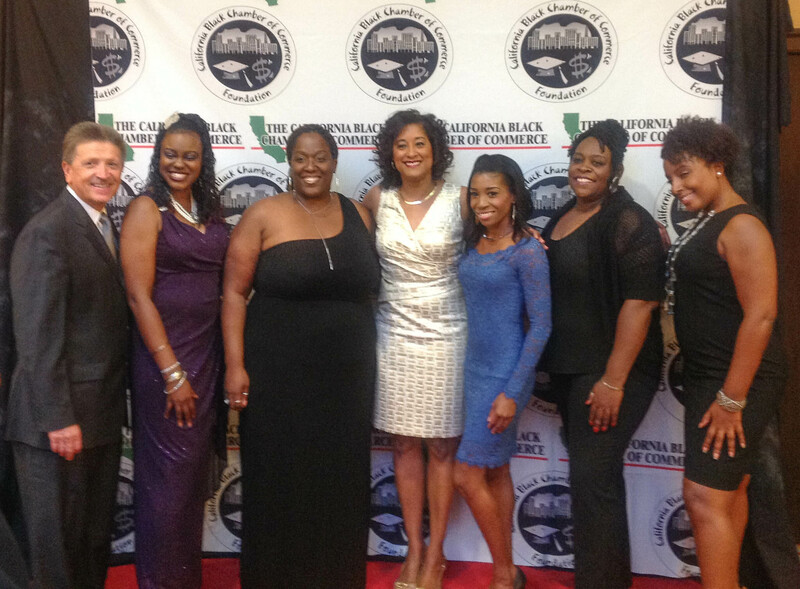 In addition to the national recognition, DGS also won accolades from the California Black Chambers of Commerce by winning CBCC’s Diversity and Procurement Outreach Award. DGS was also honored recently with an award from the Elite Service Disabled Veteran Owned Business Network for continued support of disabled veteran-owned small businesses in state contracting. DGS helps small businesses and disabled veteran businesses compete for state contracts through certification, outreach events, resource guidance and advocacy. Read more about these business resources. Photo: From left to right, Angel Carrera, DGS Procurement Division Certification and Outreach Branch chief; Demeshia Swanson, certification officer; Catrina Blair, outreach liaison; Danetta Jackson, Outreach Program manager; Angel Hood, certification officer; Tonia Burgess, outreach liaison; and Jaisha White, human resources and finance manager.